Sunshine and clouds mixed. High 59F. Winds N at 15 to 25 mph. Higher wind gusts possible..
Ent Credit Union has added to its growing list of awards and recognitions with Forbes Magazine’s designation as the best credit union in Colorado. And according to Victoria Selfridge, vice president of corporate communication, the credit union’s success comes down to one simple, but important principle — their staff. “We try to find the right person, the right place, at the right time,” says Selfridge. In 1957, Ent Credit Union was chartered to serve the community of Ent Air Force Base. As more military bases were located in the Pikes Peak area, the credit union expanded to meet the needs of Peterson, Schriever (formerly Falcon) and Cheyenne Mountain Air Force Bases. After several mergers in the 1980s and others between 2001 and 2008, Ent Credit Union expanded to serve members in Aurora, Firestone, Denver and Pueblo. As of September 2018, Ent Credit Union has more than 330,000 members, $5.4 billion in assets and 32 locations. 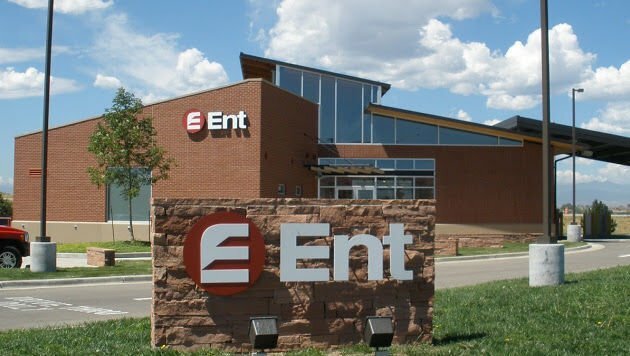 Ent’s professional development program includes partnering with the University of Colorado-Colorado Springs, to pay for a 6-month, classroom-based leadership development program for 30 of the credit union’s rising stars. “We’ve partnered with the University of Colorado-Colorado Springs and thirty of our rising stars in our leadership development program for a six-month classroom experience for selected middle-management and senior management folks to give them leadership perspective from the higher education level,” said Gendron.